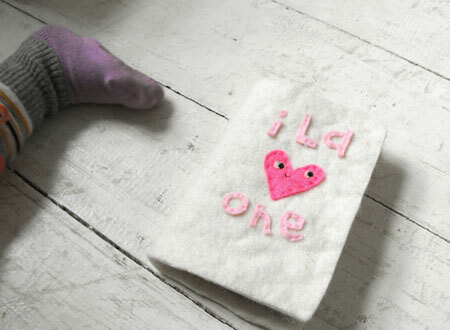 While there’s no doubt Sosi likes the little mini albums I made her last year, I’d have to say Ila LOVES them. She sits and looks at these photo albums (that have no pictures of her) over and over. It’s a little sad really. So I decided for her upcoming birthday (! ), I’d make her some of her very own. 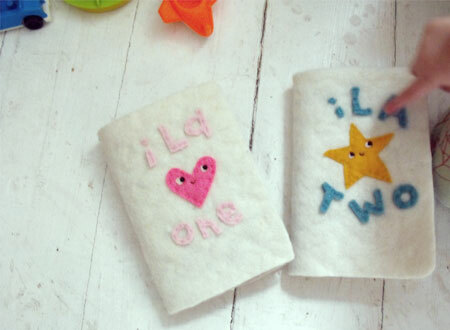 I decided to give them to her early (maybe because she was sitting beside me as made them). As I explained what they were and that they were full of pictures of her, she just smiled so big and started hugging them. I can’t think of a better reaction to anything I’ve made. Love it. We made albums (tho, not nearly as crafty as yours) for each of our kids this year. They have pictures of them, some of us, but the bulk is toys. Most loved toys. We stayed up late one night (like.. maybe 10 pm?) and set up a little studio in the living room (with 3-point lighting, even. Thank-you, desk lamps). We took closeups and studio shots of their favourite toys.